Caption slip reads: "Photographer: Lapp. Date: 1953-09-14. Reporter: Thompson. Assignment: Attempt suicide. 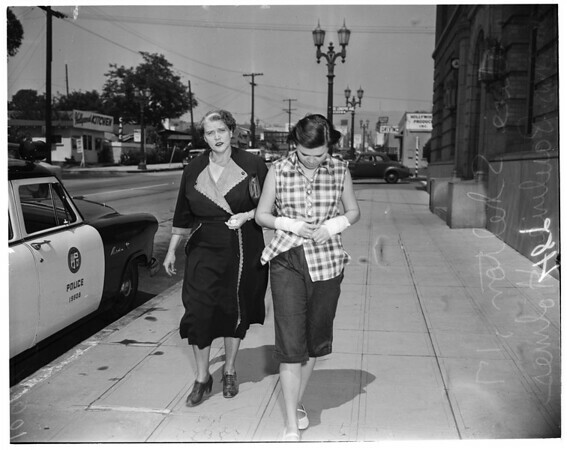 47-48: Alice Shelton, 17, leaves Hollywood Police Station with her mother, Mrs. Pauline Holmes."